With sharp wit and humor, veteran golf Journalist and historian Jim Apfelbaum examines the game’s oddities, rarities, heroes and duffers. A hilarious yet insightful look at how the game has bamboozled players for over 400 years…perhaps now more than ever. Among the author’s swing thoughts: The story behind Ben Hogan’s secret “sixth lesson”… The 3” putt that Bobby Jones nearly fanned… How Tiger Woods removes the ball from the cup (with 8 action-photo sequence and special commentary so You can do it, too! 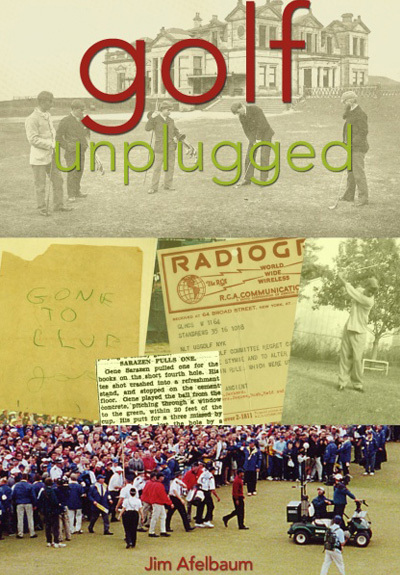 )… The First Lady who was a golf widow on honeymoon at St Andrews… The contents of Ben Hogan’s desk drawers …Sarazan hitting from a hot dog stand—and saving par. Jim Apfelbaum, 48, is immediate past president of the Texas Golf Writers Association and the author of five books, including, with Barbara Puett, bestselling Golf Etiquette and A Woman’s Own Golf Book. Jim has also written for The Wall Street Journal and Golf.com.